A cozy, country Christmas is something many of us dream of. This beautiful Christmas greeting card has all the charm of a country Christmas with all the sparkle the holiday deserves! This Christmas card, with the ornate Christmas tree ornament, is a reminder to deck the halls, light the yule log, and sing carols until late in the evening. The pine needles in the background, the rustic wood table are lovely and inviting. This holiday card is thoughtful and simple. This adorably funny card will have anyone, especially pet lovers, laughing out loud! 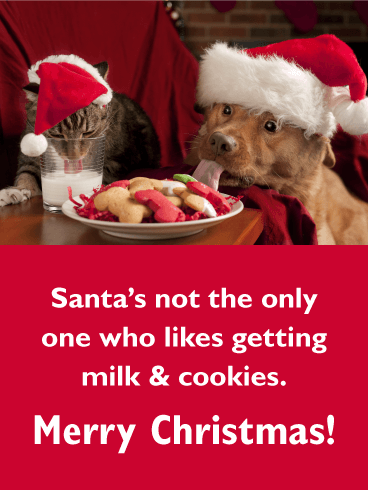 This pup and kitty combo seem to like getting cookies and milk on Christmas Eve just as much as Santa. The cookies are even in the shape of bones, perfect for two pets who certainly have the holiday spirit. 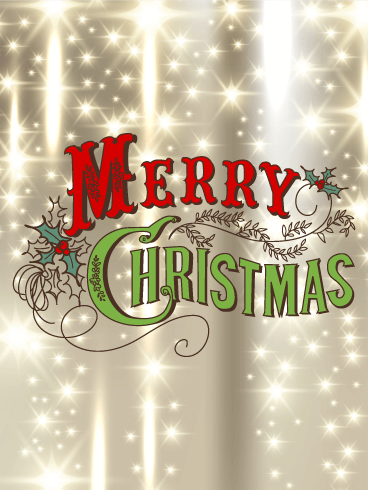 It's a whimsical way to wish someone a very Merry Christmas! 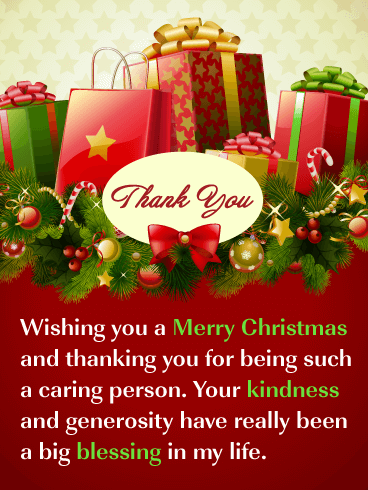 If you know someone who is always kind to you, tell them how thankful you are with a special Christmas thank you card! It displays holiday gifts with ribbons, and Christmas ornaments, candy canes, and more! This sensational Christmas card will thank them and let them know they are appreciated. When they read that their kindness has been a blessing in your life, it will touch their heart. 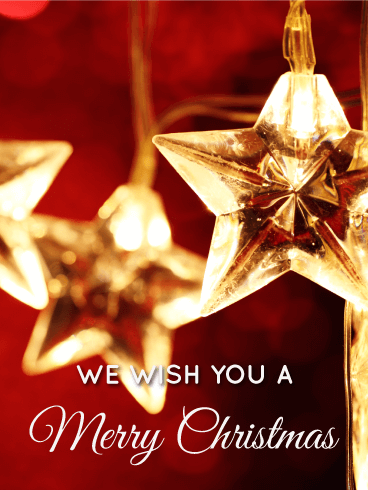 Send this thank you Christmas card out today to add joy to someone's day! The holidays can be serious, but they are also lots of fun. 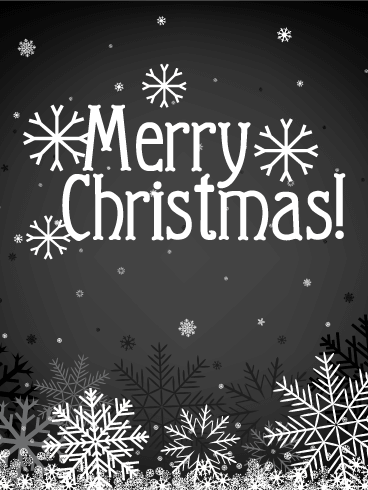 Giving presents, seeing loved ones, singing carols, and playing games (that usually also involve presents). Celebrate the fun side of the season with this Christmas card. With an adorable chubby Santa ornament accompanied by a cheerful snowman bearing gifts, it's sure to bring a smile (or a chuckle) to someone's face. There's so much hope in the holidays, isn't there? It's a season for wishing big, whether it's a simple hope that we get that one present we want or a bigger dream that next year will be better. And we can't help but think of the past. After all, it's the reason for the season, as they say. This Christmas card celebrates the past with a retro-cool color scheme, but also expresses that hope for good things to come. Decorating the Christmas tree is one of the best parts of the holiday, isn't it? Every family has its own traditions. Maybe you pick a new ornament every year or maybe you use the ones that have been in your family for generations. There's no wrong way to do it, of course. Traditions are what make memories and what make memories so special. Remind a loved one of that special feeling with this beautiful Christmas card. 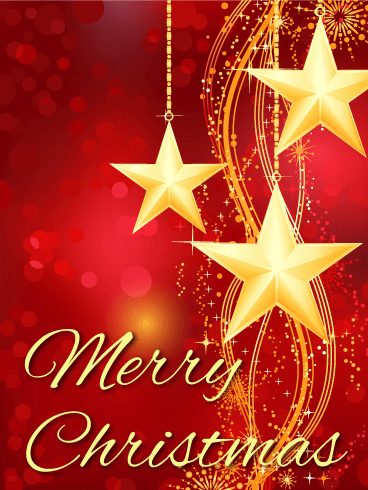 The stars are brightly shining in this festive Christmas greeting card. A ruby red backdrop, golden starbursts, and elegant lettering adorn this thoughtful Christmas card. 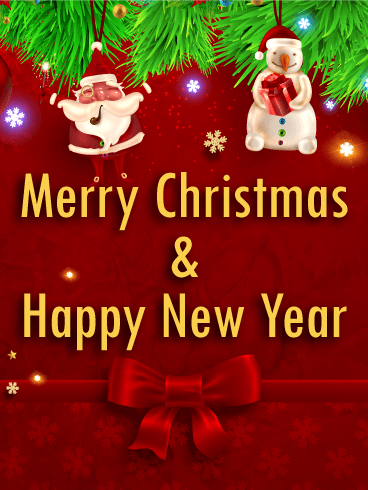 Wish someone a Merry Christmas in a way that truly captures the hope of the season by sending this Christmas card. Make a wish on a Christmas star. Miracles really do happen if we just believe. This Christmas card features the kind of imagery that just makes you want to start making a popcorn garland, and start singing the classic carols. 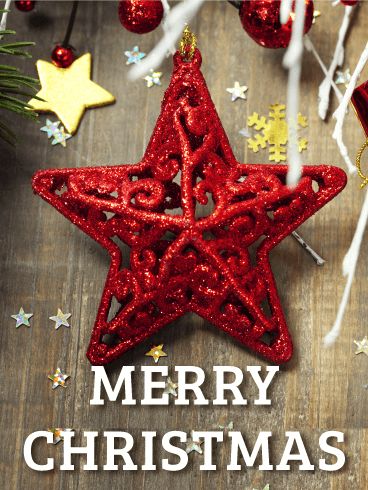 Before you start decking the halls and hanging stockings with care, share the feeling and spread some Christmas joy. A long time ago, someone told me that Christmas is the time when we should be thinking about what we can do for others. 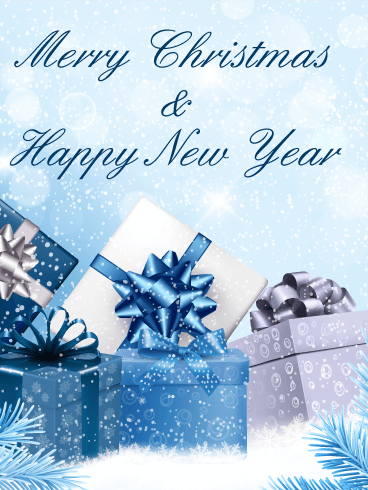 Do something for others and send them this Christmas card. Baby, it's cold outside, but luckily, you and your loved ones are warm inside. Getting to curl up under a blanket and watch a Christmas classic movie is one of the best parts of the season. 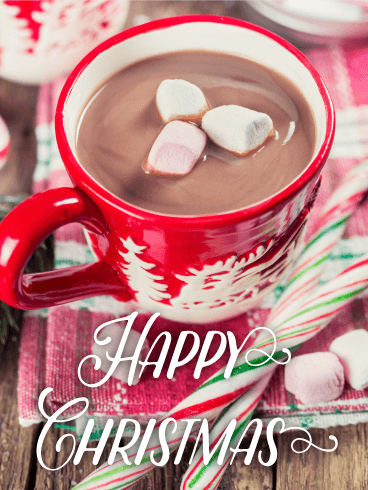 If you really want to take it to the next level, though, you know few things are a better addition than a steaming cup of hot chocolate topped with marshmallows. Share that cozy feeling with a loved one by sending this Christmas card. We all know that there's no place like home, and that's especially true during the holidays. Even if you're a grownup, you kind of want to be a kid again: put on your footie pajamas, stay up as late as you can, eat all the candy, and go sledding in the morning. This Christmas card is the perfect choice for those feelings. It shines with the magic of Christmas. Save room for me on the sled, won't you? There's something magical that happens when it snows. Everything seems quiet and peaceful when the world is blanketed in ice. You can walk through the snow and feel like you're on the only person on earth, but you never feel lonely. With its grayscale depiction of falling snowflakes, this Christmas card captures those moments, when there's a kind of hush. Remind someone of those special solitary moments on silent nights or raucous days. We all know that one person who makes the best sweet treats at Christmas. Whether it's crisp sugar cookies or buttery cakes that melt in your mouth, they've got it covered. Celebrate that person who fills your belly and your heart with this charming Christmas card. 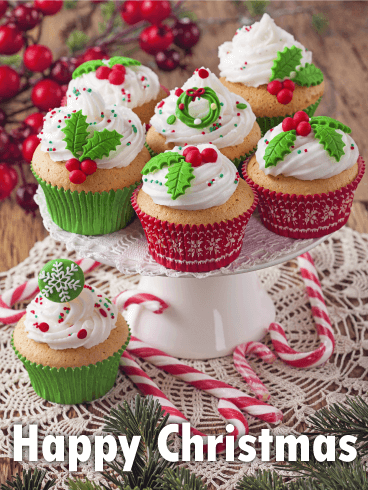 Featuring cupcakes beautifully decorated with holly leaves and other symbols of the season, it's sure to show that person how sweet you think they are. 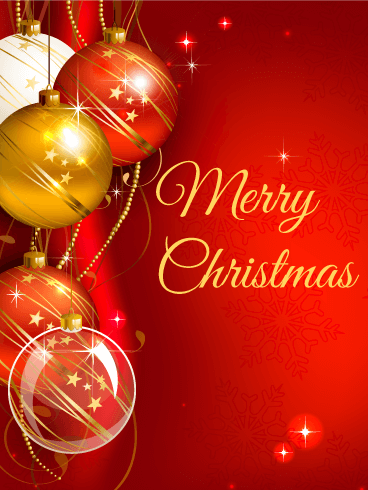 Wish a Merry Christmas from all of you. 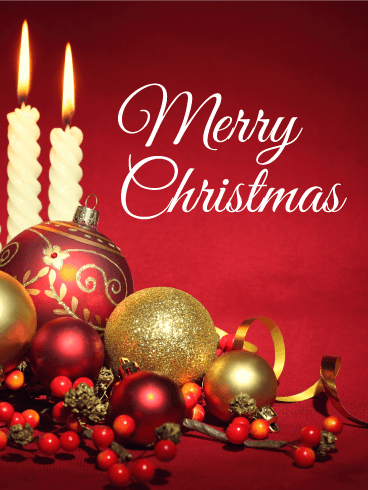 A classic and simple Christmas greeting that warms the heart is a wonderful way to spread joy this holiday season. Christmas tree lights are a favorite decoration at this time of year. This Christmas card's star lights spread a magical glow that invites you to pause, reminisce on the old, and dream of the new.